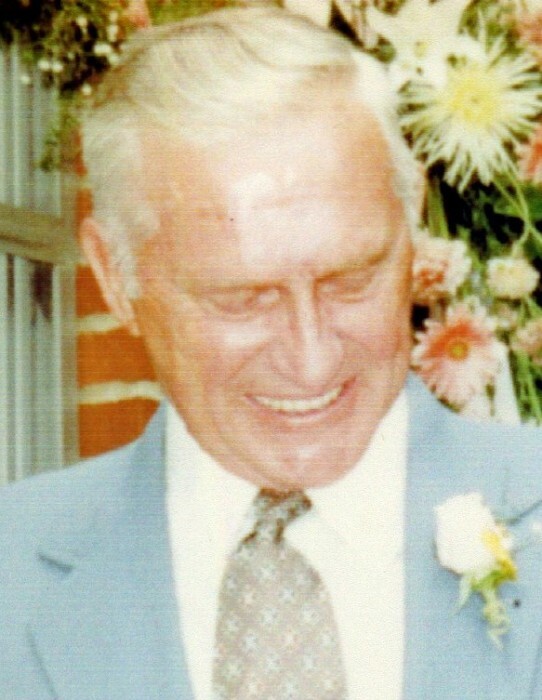 Alvin W. Kreske Sr., 94, of La Porte, Indiana passed away Tuesday, February 12, 2019. Alvin was born November 10, 1924 in La Porte County to Henry and Josephine (Mrozinski) Ksycki. On July 1, 1944 Alvin married Anne Tyskowski who preceded him in death on August 26, 1999. Alvin retired from Modine Manufacturing after 30 years of service in the maintenance department. He also was a motor carrier for the Herald Argus for 40 years and he owned Al’s Radiator Shop. Alvin graduated from Mount Carmel High School in Chicago and attended Alexian Brothers University in Chicago until he was drafted into the United State Navy where he served in World War II as a medic. He was a member of St. John Kanty Catholic Church, the Holy Name Society and the Men’s group. Alvin is survived by a daughter, Sharon Luera of Hudson Lake; a son, Dennis (Cindy) Kreske of Rolling Prairie; many grandchildren; and many great grandchildren. He was preceded in death by his parents; wife; three sons, Alvin Jr, Matthew, and Robert Kreske; a sister, Martha Fetterer; two brothers, Edward and Chester Kreske; three grandchildren; and one great grandchild. Visitation will be from 3-5 p.m. Monday, February 18, 2019 at Frank L. Keszei Funeral Home, Essling Chapel, 1117 Indiana Avenue, La Porte, Indiana. A Parish Rosary will be recited at 5 p.m.
A Mass of Christian Burial will be celebrated at 10:30 a.m. (CTS) Central Standard Time, Tuesday, February 19, 2019 at St. John Kanty Catholic Church, Rolling Prairie, Indiana. Family and friends may visit from 9-10 a.m. prior to the Mass at the funeral home. Reverend Michael Heimer will officiate. Burial will follow in St. John Kanty Cemetery, Rolling Prairie, Indiana. Memorial contributions may be made to La Porte County Small Animal Shelter, 2855 W State Road 2, La Porte, Indiana 46350 or St. Jude Children’s Research Hospital, 262 Danny Thomas Place, Memphis, Tennessee 38105. The family would like to thank the staff at Miller’s Merry Manor in La Porte for their wonderful care. Prayers, condolences and memories may be shared with the family at Essling Funeral Home.com.